Brake shoes on a car should be checked regularly and replaced when needed. 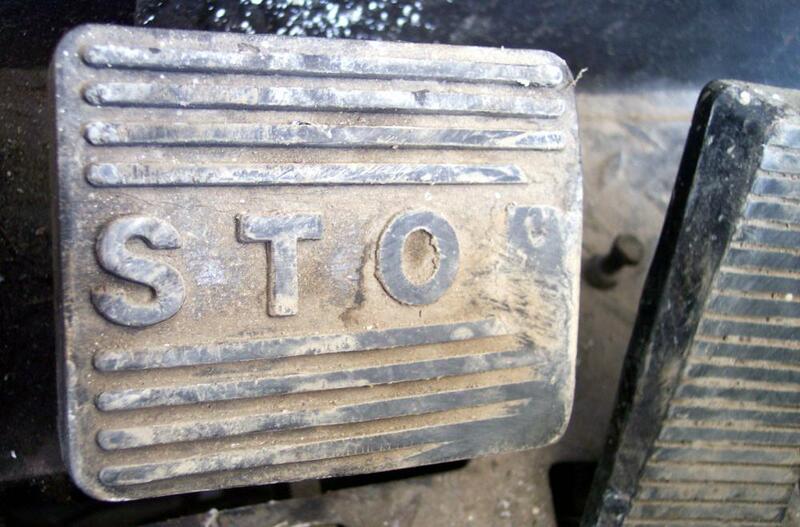 When a driver steps on the brake, the brake shoe is the mechanical part bringing the car to a stop. 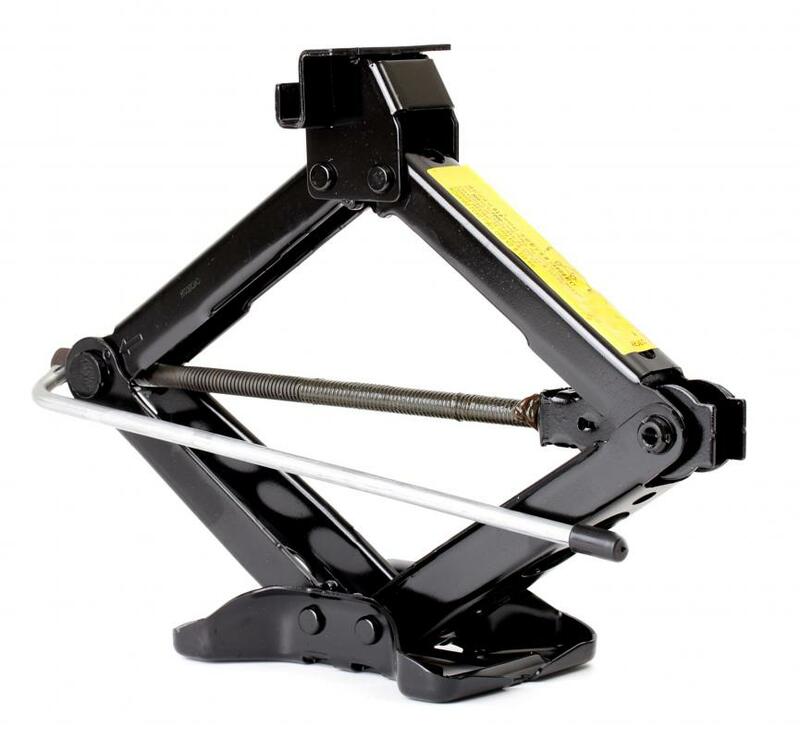 Brake shoes can be easily changed with the use of a standard car jack. Brake shoes are an integral part of the braking system of a motor vehicle. When a driver steps on the brake, the brake shoe is the mechanical part that he or she is ultimately controlling to bring the car to a stop. The backing of a brake shoe is a metal part, but the area that actually comes in contact with the brake is padded to provide friction to stop the car without damaging the brake itself. Brake shoes are found inside of drum brakes; disc brakes have calipers, which serve the same function in a slightly different way. Drum brakes work using hydraulic pressure. When a driver steps on the brake, brake fluid under pressure travels to the individual wheel brakes, and small hydraulic pistons push the shoes onto the inside of the spinning surface of the wheel. The friction from the shoes slows the wheel down, and ultimately brings it to a halt. When the break is released, springs pull the brake shoe back into a resting position, clear of the wheel. Disc brakes work in the same way, except that instead of applying pressure from inside a drum, calipers grip a disc which stops the wheel. With time, the surface on the shoe will start to wear down. If allowed to wear down completely, the metal backing of the brake shoe will come into contact with the drum, potentially causing serious damage in addition to an unpleasant sound. For this reason, most drum brakes have an inspection hole so that drivers can check on their brake shoes without dismantling the wheel. When the shoes start to wear down, they need to be replaced for effective braking. The padded lining used to be made from asbestos, but more environmentally friendly materials are used in most modern cars. In general, most cars have drum brakes on the rear wheels and disc brakes on the front wheels. The drum brakes also house the mechanism for the emergency brake, so it is important to make sure that they are in good working order. Make sure to check on all your brakes regularly, and replace pads and shoes when needed to save expensive refinishing or replacement bills for the discs and drums that stop your car. It is possible to replace your brake shoes yourself, if you have mechanical experience. 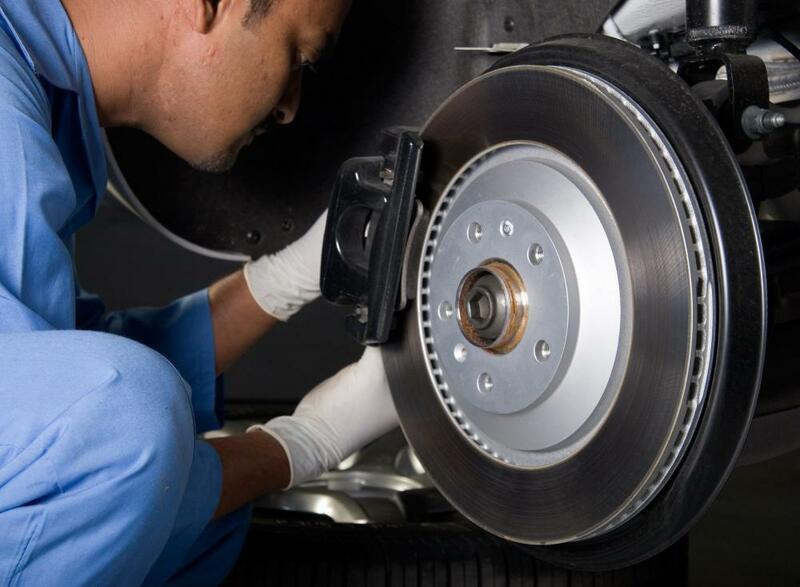 Servicing drum brakes is harder than working on disc brakes, however, and you may want to turn to the services of a reputable professional mechanic to replace your brake shoes. What is a Brake Lining? What is a Disk Wheel? What is a Friction Brake? Can you explain to me a little more in detail about the difference between disc brake shoes and drum brake shoes? How do those two differ in terms of mechanics, and what is the big difference in terms of their construction? I've been using Meritor brake shoes for a couple of years now, but it seems like they wear out really easily, at least on my car. Do you have any ideas on what would be a good brake shoe replacement brand for me? I'm just tired of having to remove and replace brake shoes so often! And I don't really think its worth it to reline them, since I once relined some brake shoes and they lasted an even shorter time, so it was kind of a waste of money. Is brake shoe lining the same thing as brake pads? My mechanic said that he needs to reline my brake shoes, so I wasn't sure what exactly that entailed. Is relining the brake shoes just replacing the brake pad, or are those two things completely unrelated? I am really the worst person in the world for cars, so I will take any and all advice I can get!